Selection of nautical boating bags from SSNautical.com. 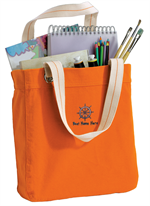 Free boat name embroidery on boating gear bags. 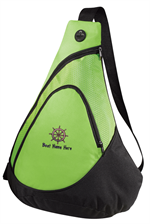 Outfit your crew in style with a set of matching gear bags, beach bags, golf bags, duffel bags, and soft sided coolers. Whether you are packing for a day trip or an overnighter, there is a selection for you. 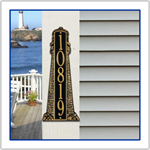 Custom boating gear makes a great gift. SSNautical.com is has been serving recreational boaters online since 2001. Shopping, commuting or sightseeing, Allie is your companion. Contrast lining, striped handles and large metal grommets add a touch of whimsy to this casual tote. The open-top design offers easy access. With interior zippered pocket. Large capacity for the gym or light travel. The cavernous interior easy holds a complete change of clothes and shoes. BIG DOME by Ogio. 12-Pack Cooler. 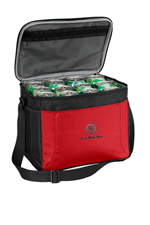 This spacious cooler has room for 12 cans plus everything else you need for a fun event. Dimensions: 8.75''h x 11.25''w x 8''d; Approx. 787 cubic inches. Two large side mesh elastic-trimmed pockets. Adjustable web carrying strap. 24-Pack Cooler. Let the party begin! 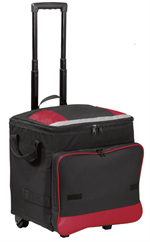 With room for 24 cans and more, this large cooler features an adjustable web carrying strap and shoulder pad for easy transport. Interior zippered mesh pocket for utensils. Two large side mesh elastic-trimmed pockets. 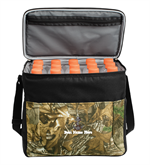 24-Pack Camouflage Cooler. Dimensions: 12.25''h x 14''w x 8''d; Approx. 1,372 cubic inches. Let the party begin! Interior zippered mesh pocket for utensils. 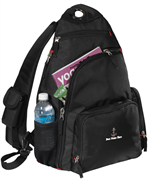 features an adjustable web carrying strap and shoulder pad for easy transport. A killer chiller for tailgating, golfing or hanging out in the back yard. Main compartment holds 18-24 twelve oz. cans. With a 48-can capacity, you'll be the hit of the tailgating party when you roll up with this durable cooler. Collapsible design makes for easy storage. One-hand push button extension handle. Web top and side handles. Zippered opening. 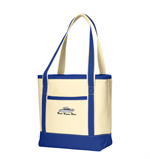 Port Authority Large Tote Cooler. With a spacious capacity, this cooler can accommodate everything you need for events, picnics and parties. Web carrying straps. Zippered top closure. 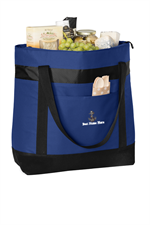 Dimensions: 17.75''h x 22.75''w, 16.25''w x 7.375"d.
Port Authority® - Two-Tone Shopping Tote. Carry necessities with a touch of traditional style. Durable 10-ounce, 100% cotton twill, contrast canvas bottom. Cotton web handles. Get dad something personalized. Perfect for trips to the beach or on the boat! 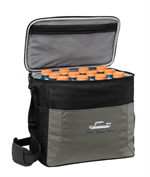 Engineered to hold enough for days of serious travel with a a wide opening and a huge cargo compartment. OGIO - Rage Duffel. An essential for every traveler. Features toothbrush and makeup holders and see-through pockets to view toiletries and accessories. A hang-anywhere hook makes it easy to hang on a door or towel bar. 1,680 denier ballistic polyester. Web top handle. 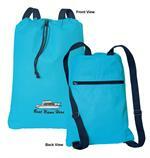 Great bag for taking to the beach or on the boat. 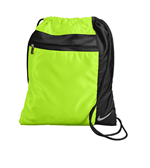 Available in several vibrant colors, this soft cotton cinch pack has contrast webbing straps and a zippered pocket for additional storage. Cinch Pak by Port Authority. Perfect bag for light day trips. Constructed from durable ballistic fabric, this modern messenger will keep you organized while protecting your tablet and laptop with padded compartments.